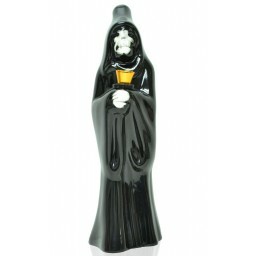 The Flying Squirrel - 7” Water Pipe - Collector's Item -The Greatest Online Smoke Shop! Complicated glass blowing technology used to create the intricate design on this unique water pipe. Unique glass patch work makes this distinctive art work. 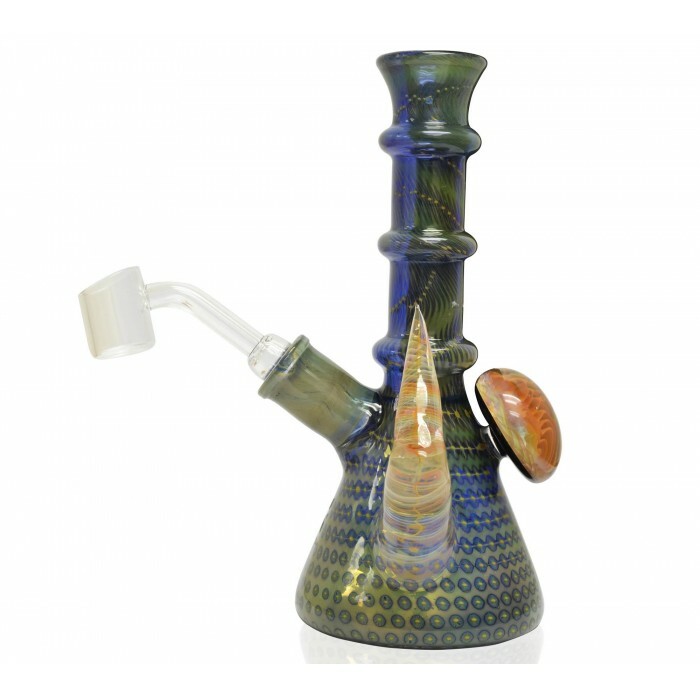 Blown with a variety of color accents, textured, glass trinkets, and even two golden fumed horns that double as sturdy handles. 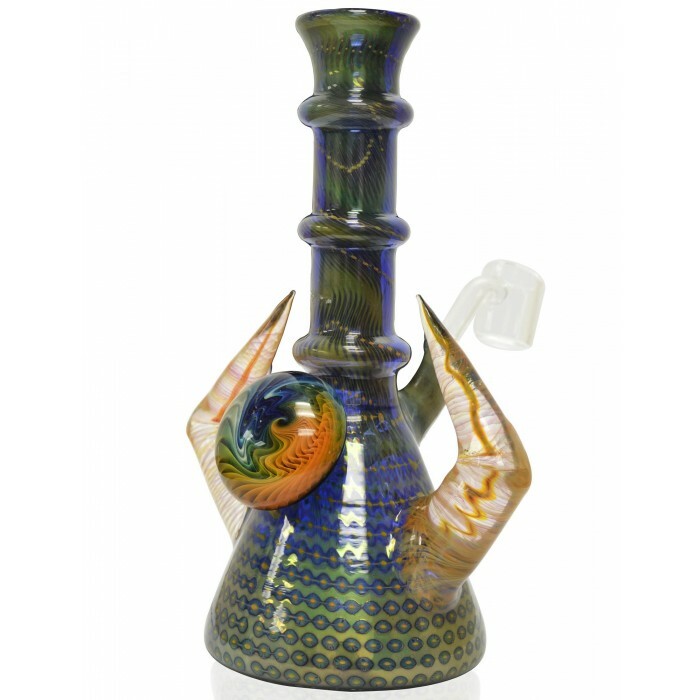 Nicely sized water pipe, about 8” tall, that smoothly combines a beautiful design with ease of use. 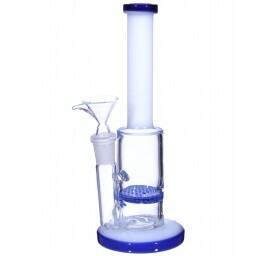 The Flying Squirrel has a 14mm female joint and comes with 14mm male oil banger. 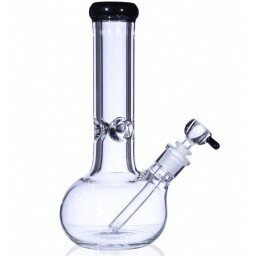 This Water Pipe is a must add for any avid glass pipe collectors. 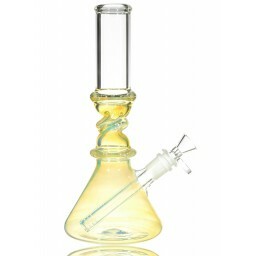 The Flying Squirrel is a beautifully crafted, creative, and unique piece that comes with an oil dabber male joint. 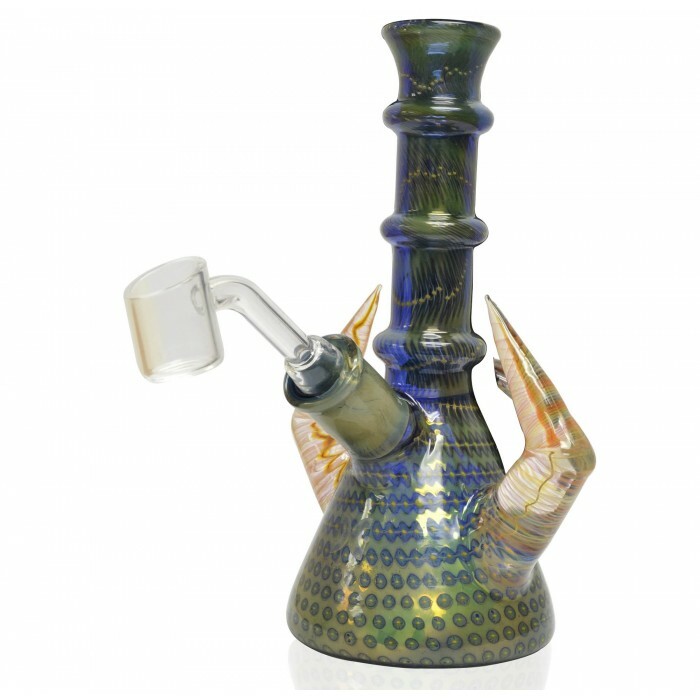 The main glass used for this piece is golden fumed glass on cobalt blue glass, which creates a trippy combination of greens, yellows, and deep blues. 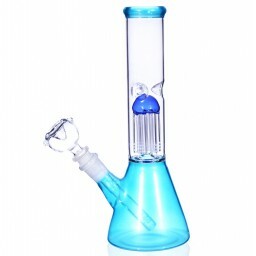 It’s a beautiful color combination, not often seen in many glass pipes. The designers also used a relatively new type of glass blowing technology called water droplet technology. 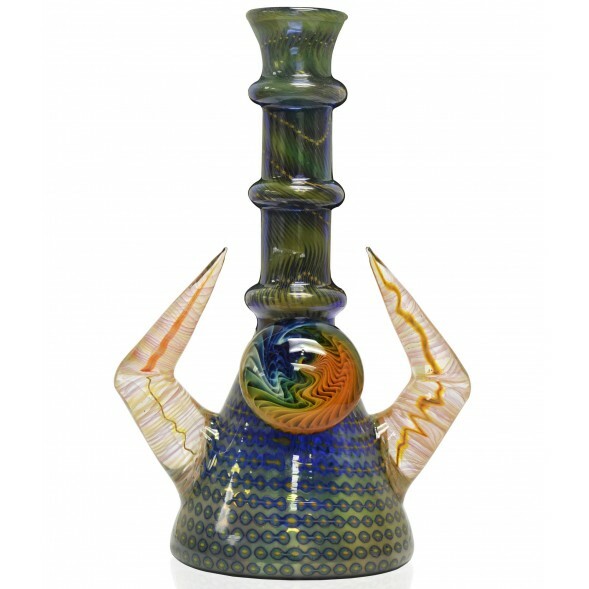 This technique creates the unique patterns and textures you’ll see on the water chamber, neck, and on the two horns that protrude out of each side. 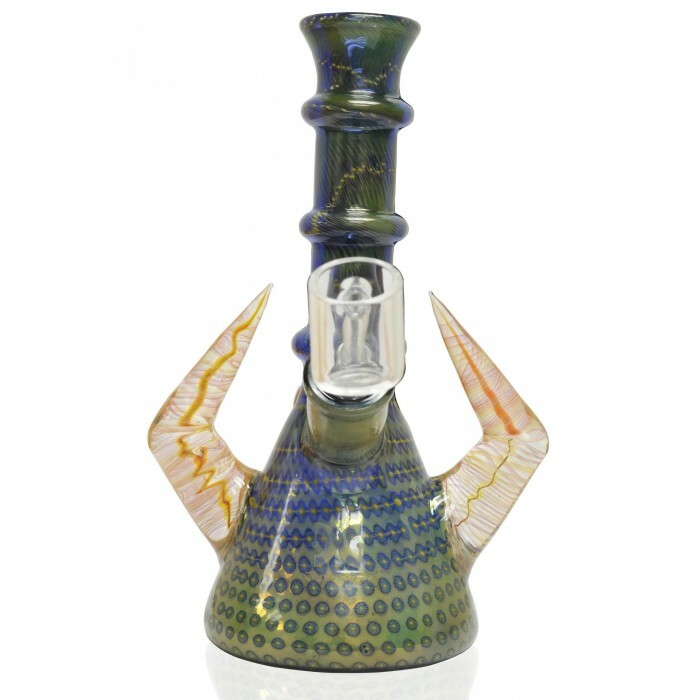 The set of horns are blown in clear glass fumed glass, which will start to change colors and accents the more you smoke. 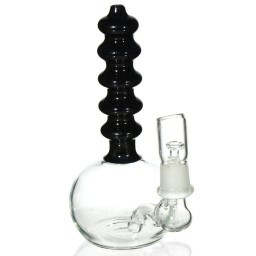 They double as sturdy handles as well, so you can keep a firm hold on this piece as you dab away. The last touch is the beautiful glass trinket opposite of the bowl. This trippy glass node sticks out to show you a swirling combination of blues, yellows, and oranges that mirror the overall style of the piece. 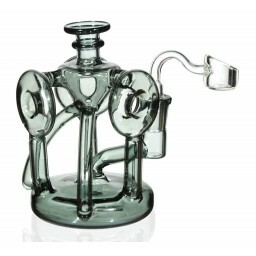 It’s a work of art as much as it is a piece to smoke with. 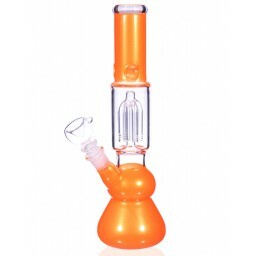 The Flying Squirrel has a 14mm female joint and comes with a 14mm oil male bowl.  From what I've every ordered, always excellent quality. (dropped a 90$ piece from this site, onto concrete from bout 3' up, didn't even scratch it, love my evil jeckle) keep up the great work. Hoorays all round!